1. The Sandy Hook murders were plain and simple EVIL. Yes, it may well be that Sandy Hook murderer Adam Lanza had a history of mental issues, Dyslexia or whatever will soon be psychologically attributed to him but the Sandy Hook murders – like all murders committed throughout history – were EVIL. They need to be labeled as such. When hundreds of thousands of Nazis systematically exterminated 6 million Jews that was EVIL. 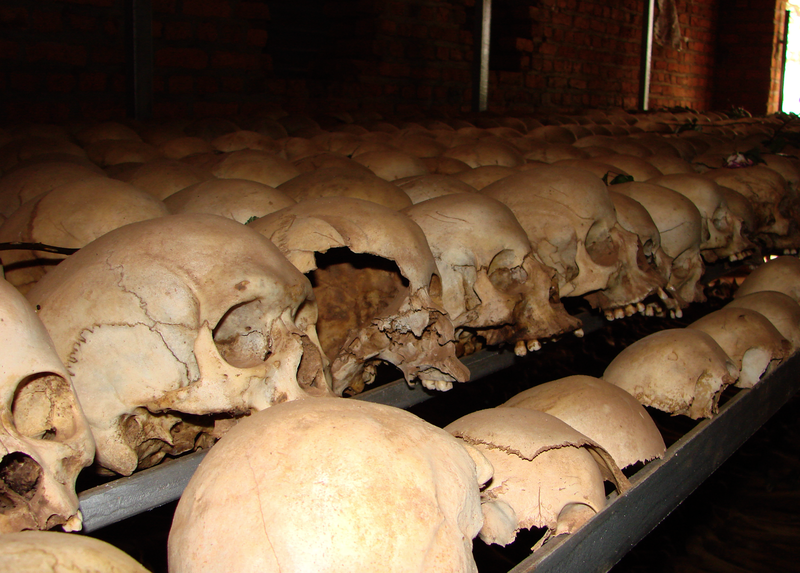 When nearly 1 million Rwandans were raped and murdered during a 90-day gun-and-machete killing spree in the 90s that was EVIL. Columbine, the Colorado movie theater rampage, last night’s local neighborhood killing in your town and mine…all of them have EVIL in common. This means that while psychological problems play a factor in how we think and act, we need to go deeper. We need to call things as they are. As I help my kids cope with this ghastly crime I will alert them to be watch for EVIL because it is a real thing. In a fallen world Evil is something that they need to ask the Lord to guard their hearts against and to be vigilant of no matter where they are: school, shopping, and yes, even church. 2. Sandy Hook will be – IT BETTER BE – the tipping point for passage of real gun control laws in the U.S. I wrote yesterday that the surest sign of failure is repeating the same mistake over and over again. Our gun laws are a great case in point. Yes, a man did this and not a machine but SOMETHING is wrong. SOMETHING needs to change here. If it were up to me, we would remove all guns from society and let the police officers and soldiers that truly need them be the only ones who have access to them. In Japan, a nation of 126 million where democracy reigns and guns are completely outlawed, you rarely have ANY gun-related murders. Will banning guns in the U.S. eliminate murder? Of course not but it would severely dent the number of killings and especially mass killings. Ever heard of mass knife killer? Not likely. With apologies to so many good citizens who use rifles to hunt or protect their homes, SOMETHING has to done to address why there’s such a prevalence of guns in our society. Yes, the issues are deeper than just “too many guns” – the reality of evil and a society that places little value on life shows that -but having so many guns also contributes to a bad equation for too many of us. 3. Heinous gun violence happens more often than we think it does. I know that part of what makes the Sandy Hook killings so shocking is that it happened in a picturesque town and that it happened to a large group of little children and teachers. Making matters worse is that this is the eight or ninth mass U.S. shooting of the year. I get it. That’s bad but do you realize that gun-related murders take place every day in the United States in our inner cities and that many of those killed, wounded or terribly affected by criminals are also often children? Just think about that. 4. We’re probably at another tipping tip with real implications for our democracy and freedom: more security or more surveillance? What I mean is that we may be arriving at that moment in our nation’s history where just one more mass shooting away from forcing our local and national government officials from expanding security check points for everything from schools to malls, movie theaters and even churches. I would rather we ban – or at least severely limit – guns before getting to that point but we have to lose more of our freedoms. Something is going to have to give and I don’t know the answer. To paraphrase the late Rodney King, I wish we would all just get along so none of this would be deemed necessary. 5. Did you realize that Sandy Hook and Hurricane Sandy share the word in common? That’s appropriate because the Sandy Hook murders will be the Hurricane Sandy the gun lobby most fears. I don’t know about you but I sensed this in the voice and tears of our president yesterday. 6. I would love to know what will be found on Adam Lanza’s home computer and especially inside his PS3 or Xbox. As a former crime reporter, the way he dressed up for this crime tells me he meticulously planned this thing. Those details will emerge very soon and I can guarantee you that they will be shocking – or not. Maybe Mr. Lanza was just infatuated with one of the many killing “games” that sell billions of dollars annually. 7. If you have children, and even if you don’t, please don’t obsess about the news this weekend. Periodically check in but don’t obsess. Use this tragedy to hold unto those you love more deeply.